Sharing her wedding album exclusively in HELLO!, Olympic gymnast Beth Tweddle describes the moment she said 'I do' in front of family and friends, including The One Show's Matt Baker and her former Dancing On Ice partner Daniel Whiston, who acted as master of ceremonies. "The whole thing was just magical, more so than we ever could have imagined," says Beth, who married finance director Andy Allen. 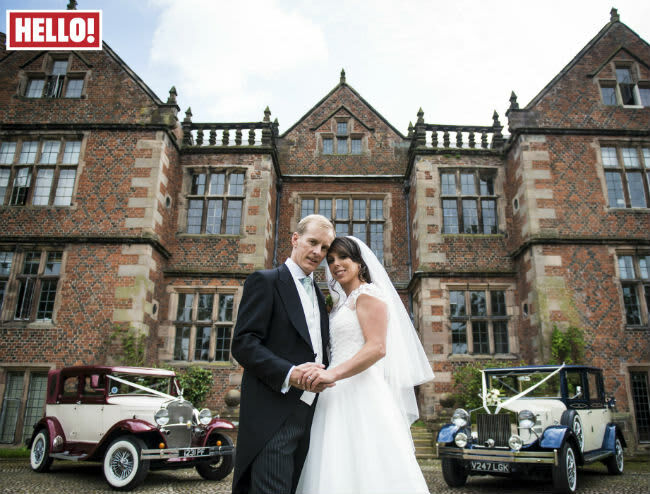 The couple, who became engaged in 2016 after finance director Andy popped the question at Iguaçu Falls in Brazil, tied the knot on 9 June at St Boniface church in Beth's home village of Bunbury, Cheshire, followed by a reception in the grounds of Dorfold Hall near Nantwich. "On the morning, so many people in the village had come to my house to see the cars off and along the route. And I couldn't believe how many people were outside the church," she says of her local fans, who have supported her throughout a glittering career that has seen her become the first female gymnast from Team GB to win medals at the European Championships, World Championships and the Olympics, be crowned winner of hit ITV show Dancing on Ice and cement herself as part of the BBC’s sports commentary team. 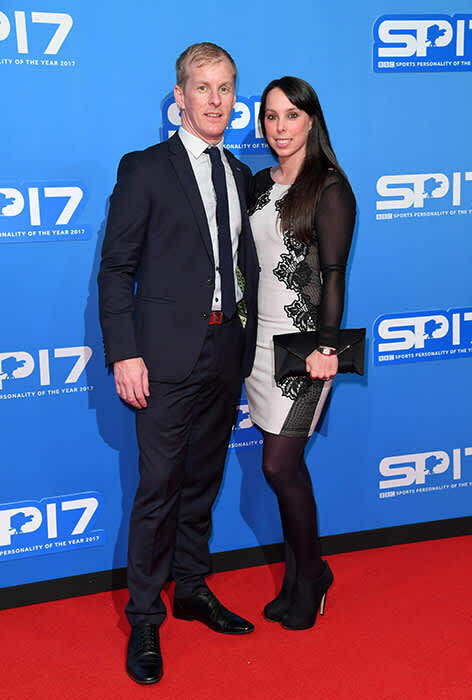 Her beautiful wedding day was all the more precious given what she went through after a horrific accident while taking part in Channel 4 winter sports show The Jump. At the start of 2016, Beth broke her neck and had to be airlifted from a ski slope in Austria after crashing into a barrier while practising a jump - leaving her unable to dress, shower, wash or dry her hair and suffering flashbacks and night terrors. "There are still moments where I’ll do something and it hits home that it happened. I’m not 100 per cent better yet, physically or mentally," says the three-time world champion and Olympic bronze medallist, who looked lovely on her wedding day in a bespoke dress by Lyn Ashworth. The bride looked sensational in her bespoke Lyn Ashworth gown, in which she took Andy's breath away when she arrived with her bridesmaids – Andy's daughter Jessica, 17, Beth's best friends Emma, Mel and Suzanne as well as her cute flower girls Mia, Andy's niece, his god-daughter Lucy and her sister Ellie, all wearing Amanda Whyatt. "I was trying my best not to shed a tear," recalled the groom. "It took all my concentration not to have a tear or two. I had to take a deep breath and gather myself." Speaking about her wedding dress, Beth shared: "When I first tried it on my mum laughed because I was skipping around. Then I put a veil on. She welled up and I knew it was The One." Beth was given away by her father Jerry, and friends including her gymnastics coach Amanda Reddin gave readings. The church ceremony was followed by a reception in a marquee at Dorfold Hall, where the groom had everyone in stitches. "Andy makes me laugh but he's very shy, so that's a side that people haven't necessarily seen - but they did during his speech," smile Beth, while her new husband added: "I feel comfortable with Beth and we complement each other in lots of different ways. She's a lot more loving, compassionate and talkative, whereas I'm quieter. With her I don't have to pretend to be someone else - I can be myself and she loves me for that. We have lots of shared interests, like sport, and family is very important to us. We make a good partnership." Indeed, Beth credits Andy, 42, for being her rock after her accident. "He's the one who can put it into perspective if I'm getting upset about stuff. I still see my physio regularly. I've got to a point where I have to get on with it. There are moments where something will trigger me but, with my psychologist, I've learnt coping mechanisms and I know I can pick up a phone to Andy, my parents or my best friends." Andy continued: "It makes you realise what you have. You can go through life getting caught up in the day-to-day mundane stuff but when something dramatic happens, it makes you look at what you have and what you could potentially lose. It makes you look at life from a different perspective. It has definitely made us stronger." For their first dance, they had choreographed a routine to A Thousand Years. "No one was expecting it," explained Beth, who had earlier organised a surprise for Andy – an Aston Martin DB9 to transport him to the church. Meanwhile, he had planned a few surprises of his own. "He loves sweets and I knew nothing about the cake until it was unveiled," she says of the naked cake - made up of five tiers, each a different flavour and one gluten free – by Cheshire-based Fiona Hackshall. It wasn't the only surprise he had up his sleeve. He also presented Beth with a pair of diamond earrings from Wongs, the Liverpool-based jeweller that designed their wedding rings. Andy also planned the honeymoon, which he revealed to Beth only on the morning before their nuptials, via a picture quiz. "All I knew was it would be the holiday of a lifetime," said Beth. She was right: the couple went on a no-expense-spared trip to Cuba, Costa Rica and Antigua. Beth plans to change her name legally but will keep her maiden name for work. "I'm still getting used to it. The morning after the wedding, Andy said: ‘How are you, Mrs Allen?' I was like: 'Gosh, yes!' It's nice. It's like we're opening up a new book. We're excited about the future and have loads to look forward to. We're ambitious, love to travel and we're still bedding into our new house [in Aughton, West Lancashire]." What about the patter of tiny feet? "We'd love a family so who knows. Watch this space…"